Gambling brings mega billions of dollars to the American economy. It is patronized by the high and mighty, and made a legal source of income. From the pop stars to Hollywood celebrities, it is legal. But this is Nigeria, not the Hollywood Hall of fame, where gambling is associated with crime and unemployment. This is exactly what may be institutionalized in Ogun State if Hon. 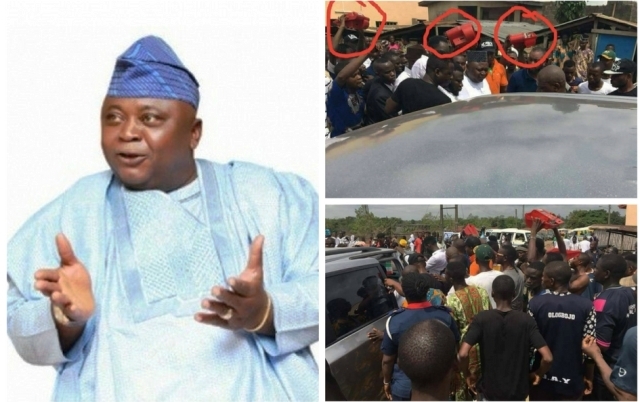 Oladipupo Olatunde Adebutu aka Lado will do if he meanders his way into the State Government House. Lado who represents Ikenne/Shagamu/Remo North in the lower chamber of the National Assembly, took it upon himself last week during his empowerment programme in Abeokuta to embark on distribution of gambling machines to the youths to play gamble. “It is appalling that someone aspiring to govern a sophisticated state like Ogun State can pride himself with this kind of absurdity in a show of support and encouragement for the younger generation, when he’s expected to teach our youths how to effectively engage and compete favorably in global economy as the leaders of tomorrow”. “What this means is that Lado will use gambling as a means of job creation for the youth. With this move, one can easily understand the future he wants to create for the people of Ogun state and the thrust of his government”, a constituent noted. The Chinese economy continues to grow solidly, with the authorities paying increased attention to the risks in the financial sector and the sustainability of growth. The pick-up in the global economy has contributed to a rise in oil and other commodity prices over the past year.